Don Rouse also know as “Cowboy for Christ” was born and raised in Brooklyn, New York and is a product of the public school system. He is married, has two children and a granddaughter who loves horses as much as he does. Don has served in the U.S. Air Force and held the title of Staff Sergeant at the completions of his service time. He was employed by the New York City Department of Correction and retired after 21 years of service. During that time he became involved in a ministry known as Correction Officers for Christ. It was there that he obtained the title of “Cowboy for Christ”. Many of his fellow officers and friends learned of his love for horses and the forgotten west through conversation and the many special events that he has been a part of. Quite often Don spoke to his peers as well as those incarcerated about the love he has for Christ and how his life has been turned around for the better after he accepted Him as Lord of his life. One of his favorite pass times is horseback riding. Even as a child, Don loved horses and declared himself 100% cowboy by 1975. Don owns a quarter horse that he named “Preacher” and is a skilled rider. Now retired, he devotes much of his time to educating others about the history of the forgotten Black Cowboys of the West. 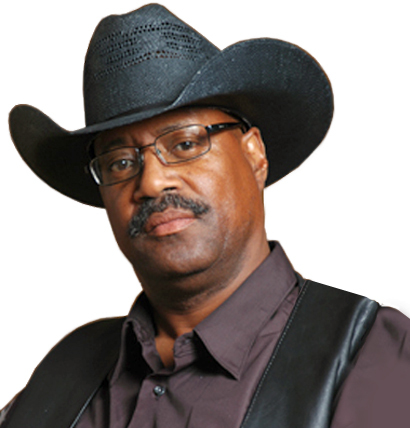 Don is often called upon by different organizations, schools and churches to give lectures and presentations about the Federation of Black Cowboys and the forgotten Black Cowboys of the West. He is always happy to share his knowledge and experiences with inner city youth through lectures and programs that are offered through the Federation of Black Cowboys organization. It is through the lectures and demonstrations that he gives that he is able to reach our inner city youth and identify with some of the challenges that they are faced with. Don “Cowboy for Christ” believes that it is important that our youth understand that every decision that they make comes with consequences sometimes good and sometimes bad. Either way one must realize that any decision made affects not only the one making the decision, but those they are connected to as well. You must believe in yourself. Set goals for yourself and realize that you can attain anything you want as long as you work to reach that goal. “Cowboy for Christ” admires the Buffalo Soldiers, Bass Reeves, Nat Love, Isam Dart, Jesse Stahl and Stage Coach Mary, all Black Cowboys and Girls of the forgotten West.